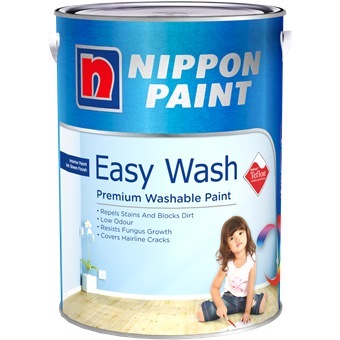 NIPPON PAINT EASYWASH WITH TEFLON 5L [1488 COLOURS] is rated 4.0 out of 5 by 1. 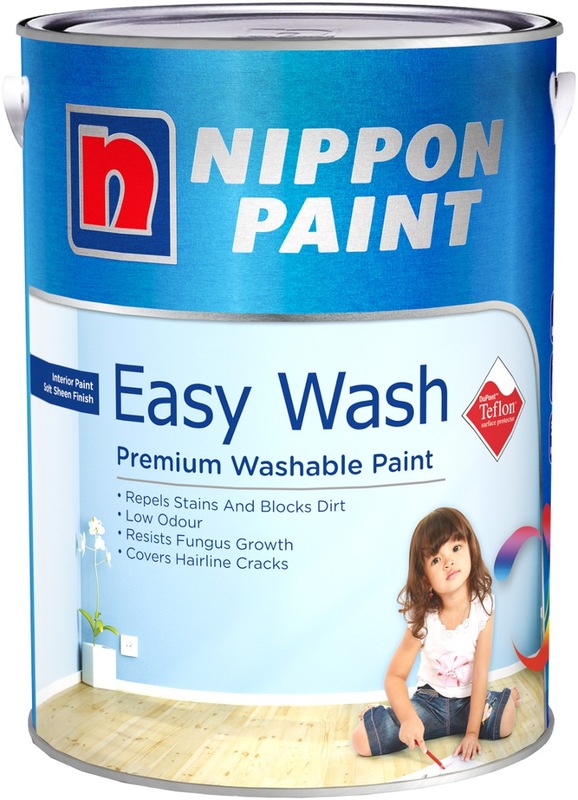 Keep your walls clean with Nippon Paint Easy Wash, now with Teflon ™ surface protector technology. This premium washable interior wall paint allows you to wash off dirt and stains easily, more effectively than ever. Available in a wide range of decorative and unique colours, Easy Wash with Teflon™ allows you to freely express yourself. What is more, it is easy to apply and low on odour. Rated 4 out of 5 by Repairs and maintenance from Affordable easy wash paint Affordable paint good for interior walls with easy wash quality.